Welcome to Ajax Parking R Us! Welcome to the website of Ajax Parking RUs, the premier parking choice for indoor valet, self-park, and open air parking in Seattle WA! 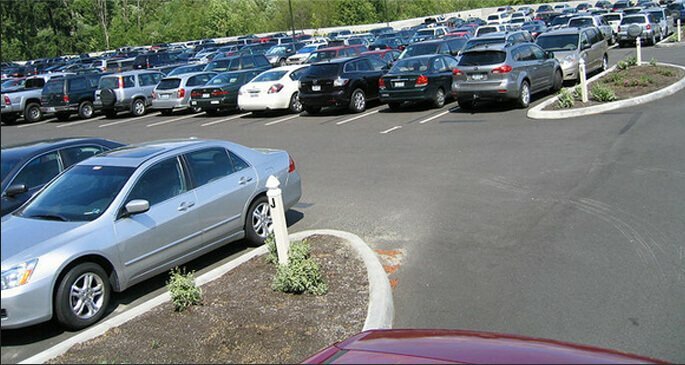 If you’re looking for parking near SeaTac Airport, you can arrive anytime and we will give you a safe, secure lot. We are open 24/7, 365 days a year and are open on holidays. Whether you’re looking for overnight parking, 24/7 parking, or a temporary lot, we are here to help! Airport parking in Seattle WA has never been so secure and convenient as it is at Ajax Parking RUs. Book Your Parking Accommodations Now! If you’re looking for SeaTac airport parking with a quick shuttle to the airport, we have got you covered. Our service is fast, friendly, and time-efficient. We offer quick services to make sure you get to the airport with time to spare! As long as you arrive fifteen minutes before your intended arrival at SeaTac, we will help you with or without reservation (although during busy seasons, it is beneficial to secure a reservation). We offer a quick, ten minute ride to the airport terminal to make sure that you get where you need to go on time. We are the closest and fastest option for airport parking in the Seattle WA area, and we get you where you’re going fast! How does our service work? Arrive fifteen minutes before attended arrival at SeaTac, and our lot attendant will greet you at the gate. You will receive a ticket, which you will take to the automated machine. Put the ticket on your dash and find a parking spot to secure your car. As you do so, our shuttle bus will then pick you up to take you to the airport. When you return, simply call us from the airport and our shuttle will take you back to your car. Pay with automated machines or with our cashier, and pick up your car. After that, you are free to leave the airport parking lot and finish your vacation stress and hassle-free. Fast, friendly, affordable: Ajax Parking RUs truly offers it all! We offer parking close to the airport at only a ten minute shuttle ride away. Don’t stress about missing your flight or arriving at the airport with no time to spare; as long as you give us fifteen minutes, our services will have you at the airport within that time frame. Our airport lots are located close enough to the airport that we say with confidence that our shuttle will get you there on time. Where are we located? Our address is 1022 S. 144th St. Seattle, WA 98168. If you need help getting there or would like directions, please call us at (206) 244-8900 or look at the directions on our website. Hours of operation: We are open 24/7, 7 days a week, 365 days a year. We know that you may need us at any time, and that’s why we are open during holidays and late hours. 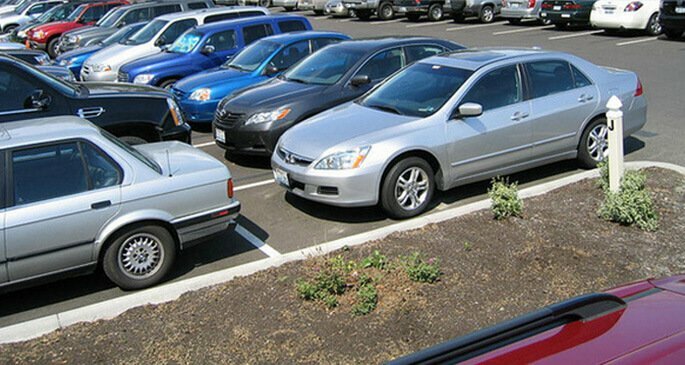 Whenever you need an airport parking lot close to SeaTac, we are here to provide our services! We work around your convenience, not hours, so that we can truly work for you. Our lots are as safe and secure as they are convenient. As long as your vehicle is parked in our lots, we will keep it safe. We offer long-term parking, short-term parking, and overnight options so that whether you’re looking for 24/7 parking or temporary option, you can have safe and affordable SeaTac parking. Our lots are monitored with video surveillance and around-the-clock security so that there is always a protective eye on your vehicle. If you’re looking for a secure lot, come to Ajax Parking RUs! We have safe lots at a competitive price. To make certain that we can provide our quick, safe services when you need them, schedule a reservation! Our online reservation scheduler is convenient and helpful because it lets you know how many parking spaces we have left on a given day and lets you schedule the optimal date for you. Pick a date and fill in information such as time of arrival and contact information, and we will have a parking space ready for you when you arrive. Your vacation or trip should be stress-free; we know that, and we work hard to keep it that way. We do the worrying so that you don’t have to! Drop your vehicle off at our airport parking and take the shuttle to SeaTac. While you’re away, we offer airport parking that will take care of your vehicle in your stead. Our staff is well-trained and will take care of your vehicle in your absence. If you have any questions about our services, feel free to approach them and they will answer any questions you may have with patience and knowledge. We work with you to provide services that keep your peace of mind while you are away. We offer services that are not only safe, but affordable. When visiting our website, we offer a web discount rate that you can use by presenting this coupon to the cashier when checking out (one-time tax and airport fees not included). Our general parking rate is $11.99/day (plus one-time tax and airport fees) with discounts available for military, Microsoft and Boeing employees, and AAA members. All rates are offered per 24-hour day. If your hours exceed the set days allotted, the price is $4.00 per hour. In terms of payment, we accept cash and all major credit cards. Are you looking to use our services for airport parking located near SeaTac? We would love to help you and provide our quality services! To get in touch, ask any questions, or schedule a reservation, please call our number at 206-244 8900 or contact us online! You can also check out our blog prior to going on the trip for helpful information. We look forward to working with you, and we’d love to help you out with your vacation parking!